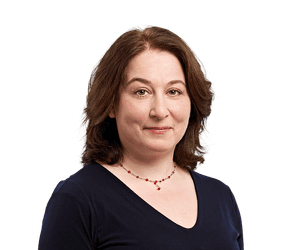 There is a letter in the weekend section of today’s Guardian from a teenage girl to an advice columnist called Annalisa Barbieri, who answers a question each week about difficulties with family relations. This girl, who is 14 and does not live in the UK (she mentions this only in a comment below the line on the website) is being told by her parents that she is ugly and fat, that she makes their lives miserable and that they wish they had never had her. Her mother shows her pictures of actresses and tells her daughter that she should look like them. The columnist takes a supportive tone, telling her that just because her parents say it, it doesn’t make it true, that her parents must be unhappy about themselves and adolescence is a tough time and things will get better. This is a really inadequate response. Barbieri does a fairly good job on educating the young girl about the issues surrounding body image and the developing adolescent brain; she tells her that when she was a similar age, she used to compare herself to models in pictures she cut out of magazines and was unaware of ‘Photoshopping’. However, it is not good enough to educate the girl; the parents need to be educated as well, not only about issues such as ‘Photoshopping’ and the enormous amount of professional help and the unhealthy diets and surgeries that some models and actresses use to achieve a ‘perfect’ figure but also that it’s completely unacceptable to talk to your child in this manner, especially over a prolonged period. In fact, it’s abuse, and the abuse might not stop at harsh words; it often does not. The girl should be being encouraged to talk to someone outside the family, such as a teacher, social worker or perhaps another relative that could make it clear to the parents that they cannot continue with this behaviour. Letters to this column are usually abridged in the published version, so perhaps the writer told Barbieri that going to social services, or their equivalent, is not an option, perhaps because they would over-react or because there really are none to speak of. However, big-sisterly advice on fashion and reassurance that “it gets better” only goes so far when a child is being subjected to emotional abuse by the people who should love and care for her. She needs help, or the situation could get a lot worse before it gets better, if it ever does. Previous story Prayer mats on the caravan trail?